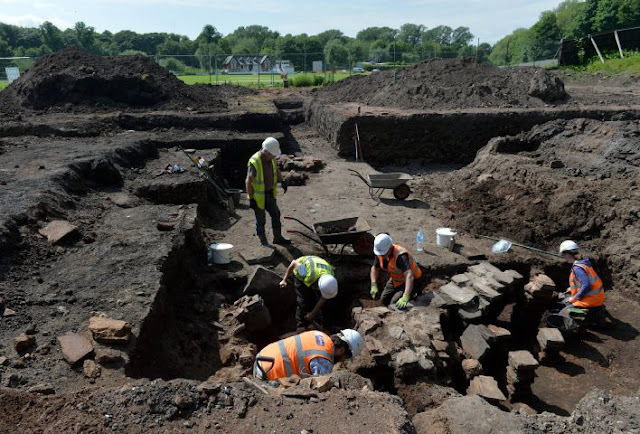 Roman ruins described as a "once-in-a-lifetime find" have been discovered during work to rebuild a cricket pavilion in Carlisle. The remains of a Roman Bath House were uncovered as part of work to move Carlisle Cricket Club's pavilion, which was damaged during Storm Desmond. 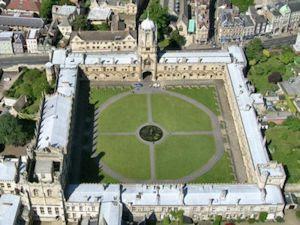 The site is thought to be about 1,600 years old and has already unearthed weapons, pottery and coins. 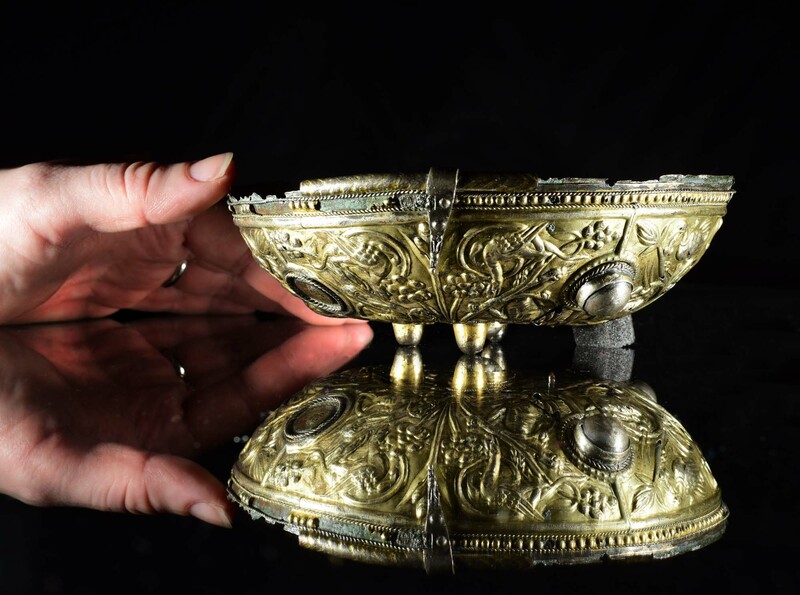 The find is close to the Hadrian's Wall World Heritage site. 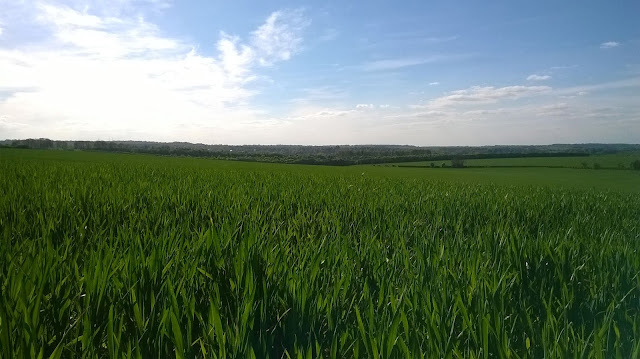 Network Archaeology Ltd, the company working on the site to provide new insights into the past, has teamed up with Lincolnshire Live to reveal more about the incredible artefacts - which include 150 Saxon skeletons. Although computer models of archaeological sites are ideal software tools for managing spatially referenced data and commonly used to yield insights which contribute to the protection of heritage materials, some scientists question their credibility, calling for these long-term trends be 'ground truthed' in order to ensure that calculated rates of change reflect observed phenomena 'in the field'. This is particularly true in areas which tend to experience more pronounced and cumulative impacts of modern climate change. 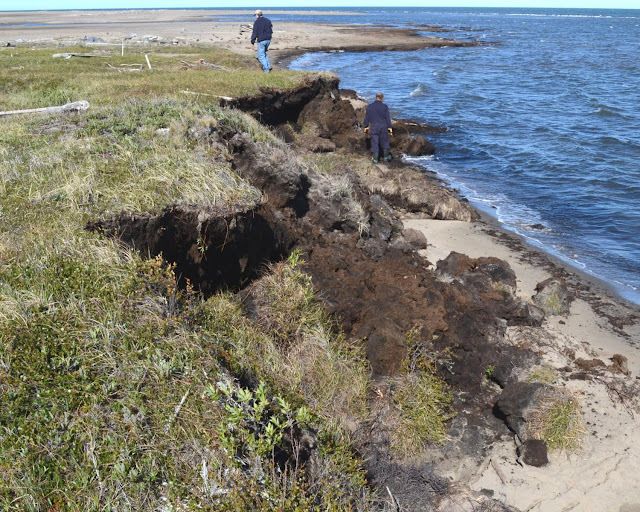 A recent study by Michael J. E. O'Rourke from the University of Toronto, published in Open Archaeology, provides a new perspective on the severe impacts of escalating climate change on the heritage resources of Canadian Arctic. Referring to the application of Geographic Information System (GIS) analytical methods in assessing the threat of shoreline erosion to archaeological sites in the Canadian Arctic, it details steps taken to review the quality of the GIS model in light of a discrepancy with rates observed during annual survey visits. The men and women who built Stonehenge left an indelible mark on the British landscape. However, researchers have discovered that their impact on other aspects of the nation may have been less impressive. In particular, their input into Britain’s gene pool appears to have fizzled out, having been terminated by light-skinned Bronze Age invaders who arrived just as Ancient Britons were midway through their great Stone Age project. In the end, these newcomers may have completely replaced the people who were building Stonehenge. This startling conclusion is the result of a huge gene study of humans in prehistoric Europe. 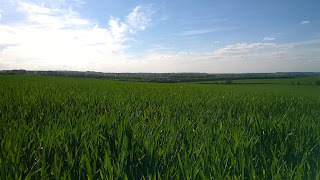 It shows that around 2500BC – when the main sections of Stonehenge were under construction – a race of people known to archaeologists as the Beaker folk arrived in Britain. Their genetic profiles were similar to individuals who were living in the Netherlands at the time. In just a short period, all genetic traces of early Stone Age Britons were replaced by those from these continental newcomers, although work on Stonehenge continued. 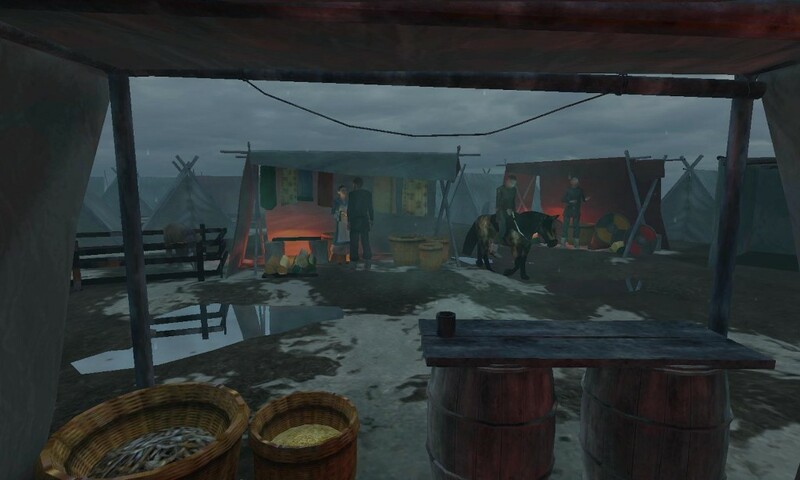 A 1,100-year-old camp the Viking Great Army at Torksey has been brought to life in stunning virtual reality based on the latest research. Heralded as the most realistic immersive experience ever created of the Viking world, the exhibition at the Yorkshire Museum in York runs from May 19 to November 5. Three dimensional images and soundscape reveal what life was like in the camp of the Viking army on the banks of the River Trent at Torksey, near Gainsborough, in the winter of AD 872-873, as thousands of Vikings prepared to conquer vast swathes of England. 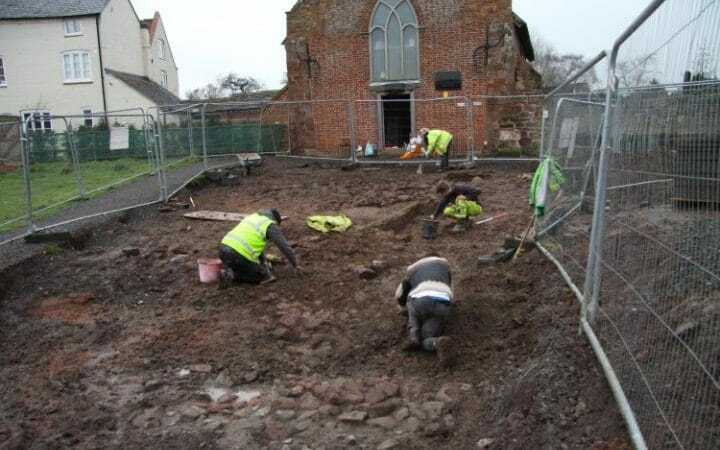 Archaeologists say a sacred burial site uncovered in Shrewsbury in February is over 4,000 years old. They say the site, which was discovered at a Greek Orthodox Church, may be the country's oldest-known continuously used sacred ground. Finds suggest it has been used during every era since the late Neolithic period. 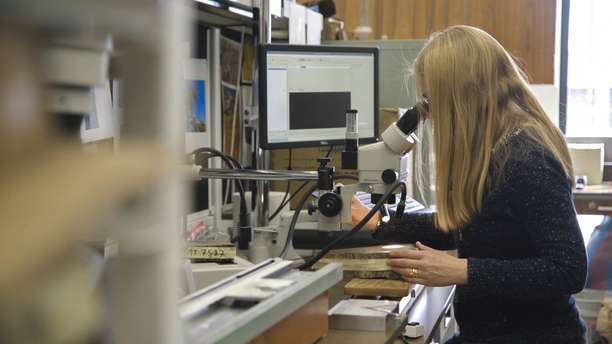 Carbon dating of a wooden post extracted during the dig showed it was placed in the ground in 2,033 BC. Archaeologists expected the post to be Anglo-Saxon. Other finds on the Oteley Road site included a calf, a pig and a dog that died while giving birth. "The dates have shocked us all," said lead archaeologist Janey Green. "It appears the current Medieval church is built over the site of an ancient pagan burial ground that's been in use from the late Neolithic period through the Bronze Age, Iron Age, Roman, Anglo-Saxon and through to today. 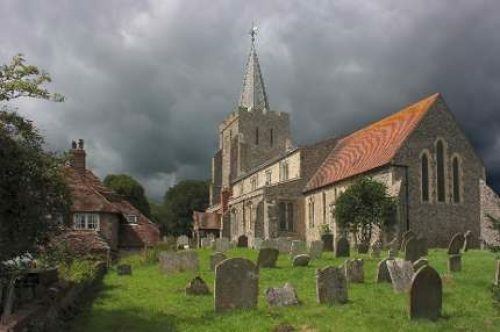 The only other British site of a Christian church that is known to date back to the late Neolithic period is at Cranborne Chase, in Dorset, but it is a Norman ruin." The Ormside Bowl. Photography Anthony Chappell Ross. Image courtesy of York Museums Trust (Yorkshire Museum). 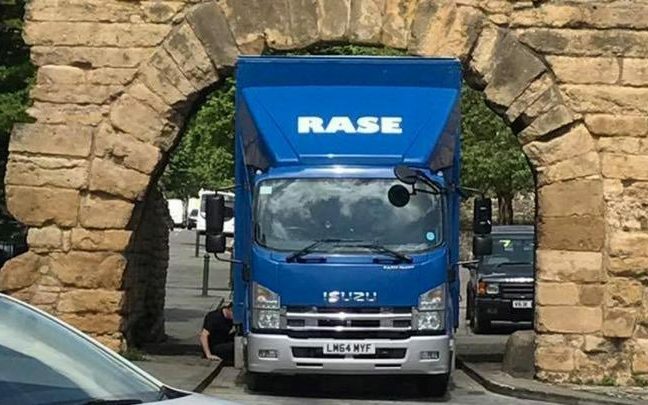 The oldest Roman arch in Britain which is still used by traffic has been damaged after a lorry driver who was following his sat nav became wedged underneath it. Police were called to the third century Newport Arch in Lincoln after a distribution lorry became lodged under the Grade I listed edifice at 1pm on Thursday. Fragments of stone from the monument could be clearly seen on the ground after it took over half an hour to free the HGV. Established in Torksey, on the banks of the River Trent in Lincolnshire, the camp was used as the Vikings' defensive and strategic position during the winter months. ARIZONA STATE UNIVERSITY—In 2013, an ASU research team found the oldest known evidence of our own genus, Homo, at Ledi-Geraru in the lower Awash Valley of Ethiopia. A jawbone with teeth was dated to 2.8 million years ago, about 400,000 years earlier than previously known fossils of Homo. After the discovery, attention turned to reconstructing the environment of this ancient human ancestor to understand why there and why then. In the early Middle Ages (450 - 800 AD), dead people were often buried with valuable items such as jewellery, weapons and earthenware pots. Martine van Haperen discovered that the people who reopened the graves certainly did not take everything. They mainly took the objects with an important symbolic significance, such as swords and shields from the male graves and jewellery from female graves. These were possibly viewed as the carriers of mythical and ancestral powers. The archaeologist from Leiden University investigated more than 1300 graves from 11 mediaeval cemeteries in the Netherlands and Belgium. More than 40 percent of the graves had been reopened. According to Van Haperen, this probably happened when the cemeteries were still in use and in half of the cases, this was even within a single generation after the funeral. 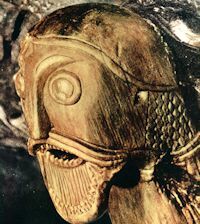 VR exhibition is based on many finds from the Vikings’ camp. Archaeologists from Nicolaus Copernicus University found the ruins of the 13th-century Teutonic castle in Unisław near Toruń. The castle was built on a slope above the Vistula River valley. Until now, this was the least well known medieval castle in Chełmno land. 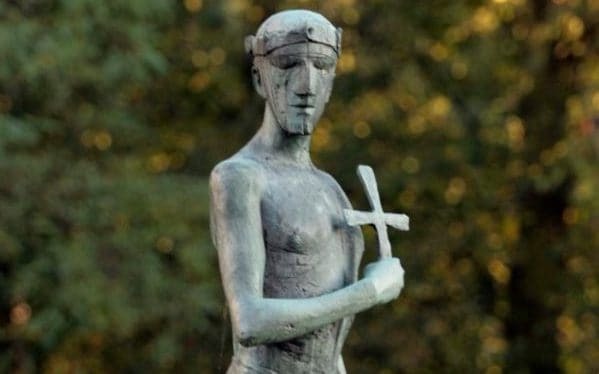 The research is conducted under the grant of the National Programme for the Development of Humanities "Castra Terrae Culmensis - on the edge of the Christian world". Over the three years of its course, researchers will conduct interdisciplinary studies of five Teutonic castles. Even before the beginning of earthworks in Unisław, in early April 2017 they conducted non-invasive surveys in castles in Lipienek, Zamek Bierzgłowski, Unisław and Starogród. Work in the fifth castle in Papowo Biskupie has not started yet. More of an ancient Roman city have been discovered by archaeologists. The burnt remains of a 1,800-year-old kiln, use to create pottery, have been unearthed at Verulamium after essential work began to re-lay a gas pipe, giving archaeologists the opportunity to dig deep underground. The team has also redrawn the map of the Roman city after making a series of discoveries including evidence of an expensive townhouse and the absence of a tower which would have sat in the corner of the city walls. Simon West, District Archaeologist for St Albans City and District Council’s Museums team, said: “The pottery kiln is another exciting discovery that gives us a greater understanding of how Verulamium was set up. There are giant amphorae, bronze fish hooks from an ancient Roman fish farm, the remains of a first century BC woven basket and even a collection of 2,000 year old peach stones, from when the area was a rich farming estate providing food for the imperial elite. A baby chick. Could Medieval religious rules have increased the demand for poultry and thereby altered chicken evolution? Or maybe it was the result of populations growing and spreading throughout the land, Stanford researchers write in Royal Society Interface. That certainly could explain some other curious features of Paleolithic culture—and it could mean that a number of paleontologists' inferences about our genetic and environmental past are, if not wrong, not as well supported as they had thought. Some 3,000 years ago, 24 axes were cached in Stjørdal municipality, about 44 km east of Trondheim. They're now seeing the light of day once again. Archaeologists from the Norwegian University of Science and Technology's (NTNU) University Museum and Nord-Trøndelag County Council unearthed the findings with the help of with six private metal detector hobbyists from the area. 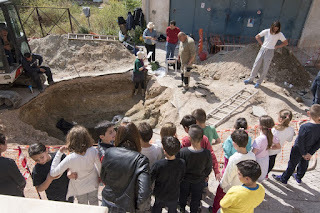 A Late Mycenaean chamber tomb with grave goods dating to the 13th-12th centuries BCE has been discovered in the centre of the main town on the island of Salamina, Greece, during a project meant to link a home with the central sewage network. 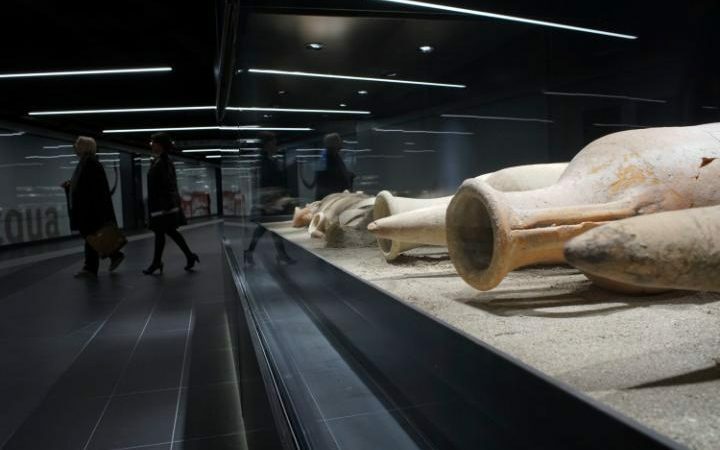 Speaking to the Athens-Macedonian News Agency (ANA) on Friday, archaeologist Ada Kattoula of Western Attica, Piraeus and the Islands Antiquities Ephorate said it was the third tomb located in the area, following two discovered in 2009 during excavation to install the sewage pipes. Those finds had led to the discovery of 41 intact pottery vessels in very good condition, with inscribed decorations typical of the era, as well as pieces of roughly 10 more vessels, she said. The largest funerary monument in the world after the pyramids of Egypt, it echoes with the ghosts of emperors and the splendour that once was Rome. Now, after decades of being neglected, the Mausoleum of Augustus, a hulking stone building on the banks of the River Tiber, is to be restored and opened to tourists. 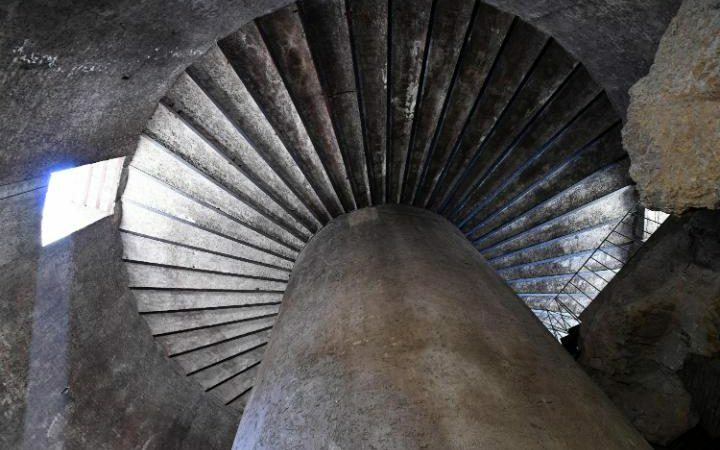 Visitors will be able to venture into its cavernous interior, where the cremated remains of the Emperor Augustus were later joined by other emperors, including Tiberius, Claudius, Vespasian and the psychotic, scheming Caligula. It's dark and surprisingly warm in a cave in western Spain that hides our most intimate connection to the prehistoric past – hand silhouettes painted tens of thousands of years ago. Experts are set to start digging for another missing English king. After Richard III was found buried under a car park in Leicester, details have emerged of other unusual possible resting places famous monarchs. Now, Bury St Edmunds believes it may have the remains of Saint Edmund, a Saxon monarch, buried beneath one of its tennis courts.